More than six months ago I had a large cavity filled with a white filling. Almost immediately following, that tooth became really sensitive to cold temperatures. Heat is OK, but cold just sends me through the roof. I went back to see my dentist because of this, and she said that the cavity was very large and deep, and might be simply irritated. She wanted to wait it out, but I insisted she do something to further protect the tooth. 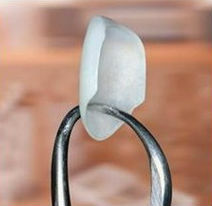 She agreed (reluctantly) to cover the tooth with a temporary dental crown. Now all these months later the tooth is still bugging me. The dentist says that we further irritated the tooth by placing the crown, and now I may need to have a root canal treatment. Does this sound right to you? She is pretty young, and I am not sure I really trust her judgment. You probably should have listened to your dentist and waited out the initial sensitivity. She is likely right, also, that placing the crown did not help the situation. 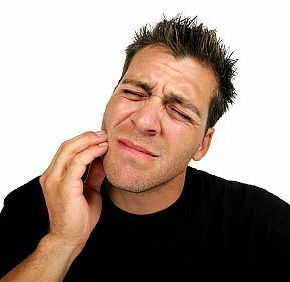 One of the most important rules of thumb in dental care is to never, ever push a dentist into doing something they are not comfortable in doing. You state that your dentist is young, so she may not yet have developed a good skill set for firmly and respectfully refusing to do treatments that are against her better judgment but that the patient is insisting on. A real concern here is your lack of confidence in your dentist. If you cannot trust her, you should seek the services of a different dentist. It sounds as if she knows what she is doing, but everything hinges on your comfort level with her and her care. Posted as a courtesy for Lafayette Louisiana cosmetic dentist Dr. Mike Malone.